Fenced off in the corner of Washington, D.C.’s National Arboretum you can find the dilapidated ruins of the United Brick Corporation kilns. A quiet and forgotten lot today, this brickyard used to bustle with activity and is linked with several notable projects across the nation’s capital. 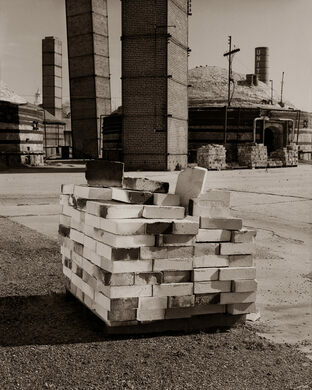 Brick production at the location began in 1909. At the time, brick-making was very labor intensive and it was hard to ship the bricks far from where they were made. As a result, there were close to 100 brickyards across Washington. 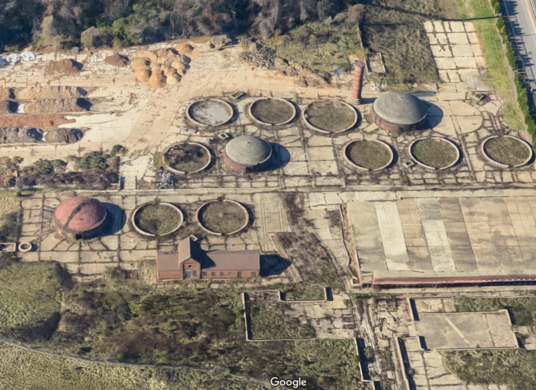 At this brickyard, clay was sourced from dredgers operating out of the nearby Anacostia River. The clay was then mixed with water and sand and cut into the proper shape. They were heated in large kilns for several days and then allowed to cool for several more before they were shipped out. The brickyard changed hands several times over the following decades, eventually being bought by the United Brick Corporation in 1930. 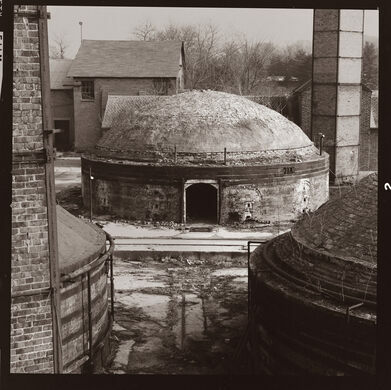 They expanded the complex and built the distinctive, round “beehive” kilns you see today. This brickyard became one of the largest and most successful in the District. Bricks from here supplied the construction of apartment complexes, the New Executive Office Building, the Court of Claims, renovations to the Pension Building (now the National Building Museum), and the National Cathedral. By 1966 the United Brick Corporation was shipping out 145,000 bricks per day. By the early 1970s, however, the beehive kilns couldn’t keep pace with the output of more technologically advanced kilns. United Brick closed in 1972 and the land and structures were annexed into the adjacent National Arboretum. 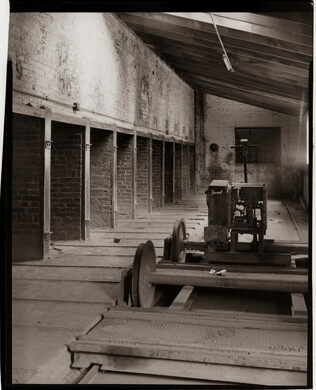 The brickyard was added to the National Register of Historic Places and there were plans to renovate the structures for the purpose of teaching the history of brick-making, but without the money to restore the facility it was fenced off and has become overgrown. The brickyard is adjacent to the Arboretum parking lot off of New York Avenue NE.